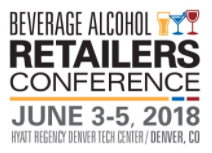 WEI is excited to be working the WSET US development team and the Beverage Alcohol Retailer's Conference in Denver this summer. The largest conference of its kind, BARC features great speakers and discussions on the latest industy trends. WEI will be partnering with WSET's US Development Team in offering a special WSET LVL2 Spirits class that will coincide with the conference. This specially priced WSET Level 2 Online Spirits will cost just $425. This price includes free shipping for all registrations received by February 28. After this date shipping ($25-$45) will be added to the price. The online course will run from Saturday April 14 – Friday May 18 and culminate with a Prep Session taking place Sunday June 3 at BARC (Hyatt Regency Denver Tech Center) from 12-2pm with the examination at 3pm. Attendance at BARC is not required to attend the class and exam. However we are also able to provide those not yet registered for BARC a special WSET/WEI discount of $100 by using a special promo code. This code will be provided immediately upon successful registration. Final deadline to register is March 31. You may register at edu.wine/BARC.